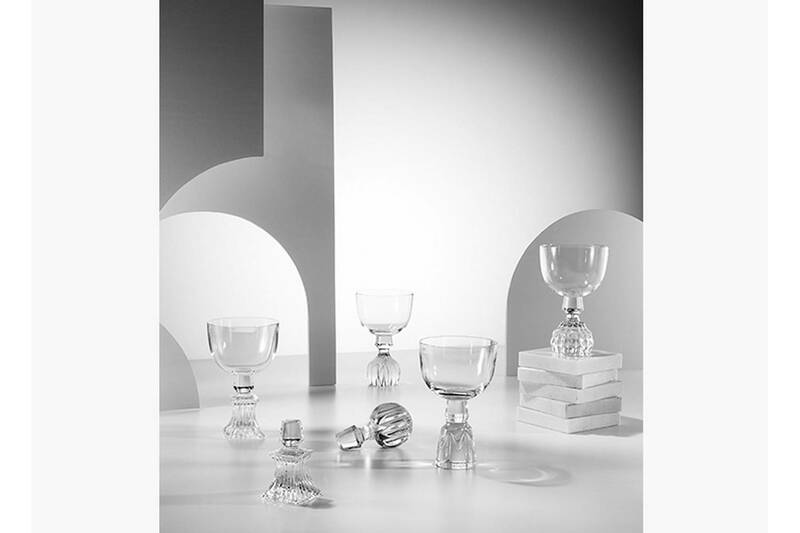 Half Cut cleverly repurposes crystal decanter stoppers as the base of a stunning collection of champagne coupes and wine glasses. 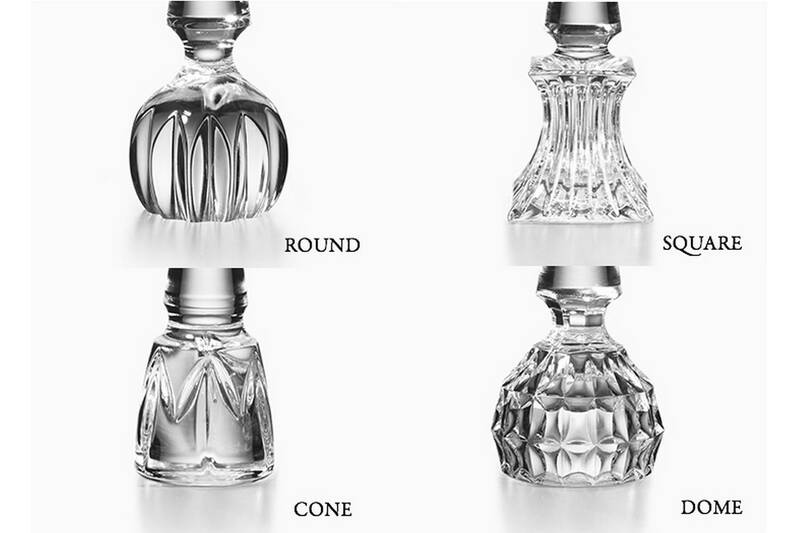 Lead crystal vessels are mounted on four distinctive, hand cut stopper designs to allow the option of matching or mixed sets. 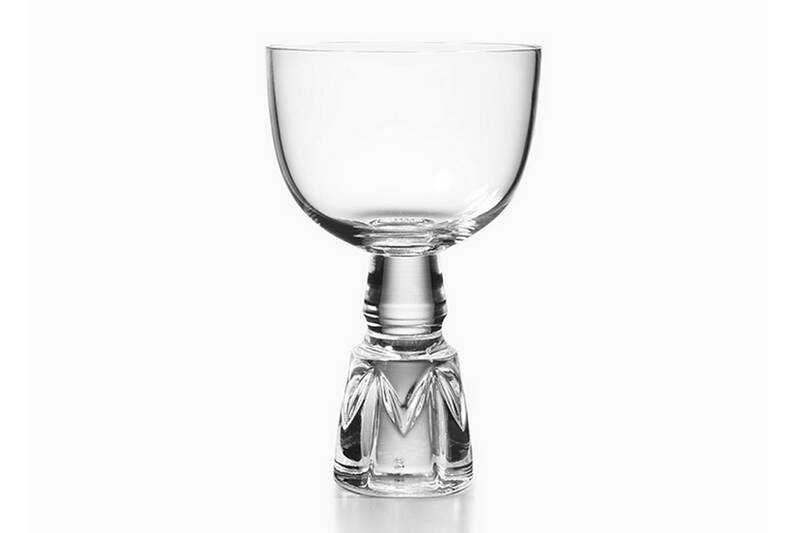 Each Half Cut has the Lee Broom crest etched on the underside of the base.